Has it EVER occurred to these guys that if they’re not feeling it and their horse isn’t feeling it, that it might just be because it’s not happening FOR THEM? 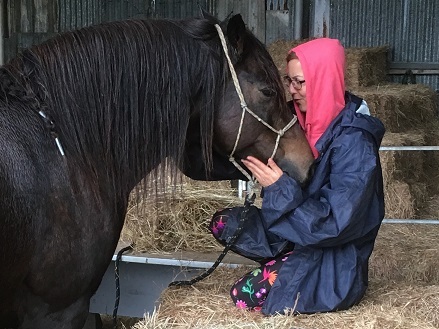 When we are connected to our horses – when things are going as they “should” be… as they can be… then we CAN feel the love they have for us, in many ways. I hear so many versions of ” I didn’t know it could feel like this.” when I’m working with people. This photo is our Oliver with young Alex who did the videoing at our recent Peace Day event. Oliver is one of the horses who radiates love really strongly and Alex was learning how to feel him. I am VERY happy to tell you that horses CAN love you. And anyone who thinks that’s untrue is quite welcome to stand nose to nose with me and my horse/s and feel it for themselves. So when don’t horses love us? Well it’s not flaming rocket science. They don’t love at us when we scare them or are dismissive of their fear and anxiety. They don’t love at us when we push through their boundaries, or teach them too fast and create tension as “normal”. They don’t love at us when we hurt them or when we’re angry or frustrated or otherwise upset with them and vice versa. They don’t love at us when we’re disconnected from them, ignoring them or neglecting the wholeness of their body mind and spirit. Or is that WE can’t feel that love when we’re doing any of those things? And they CAN’T radiate love at us when we’re not even listening to them to feel it in the first place. 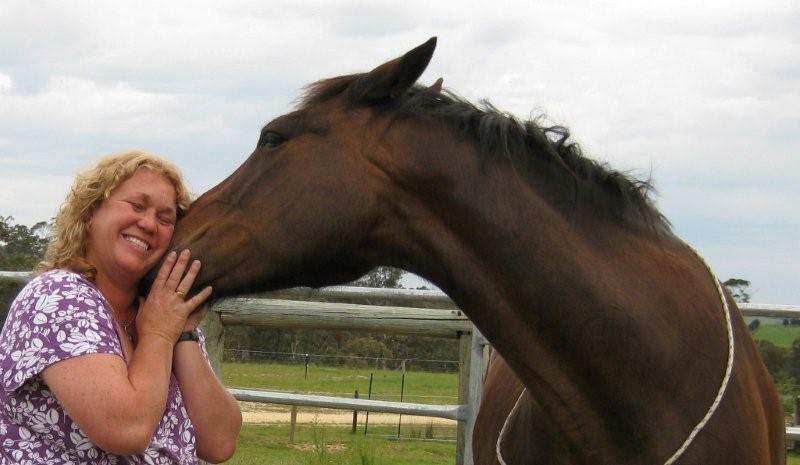 The very picture of a horse loving a human. Tammy with Dana. 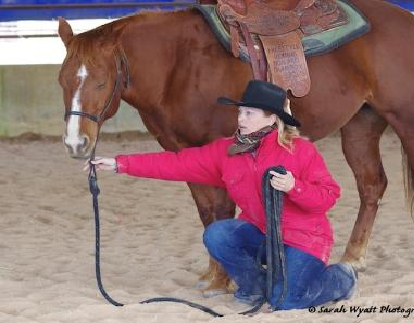 If you haven’t seen them before, these FREE lessons will get you thinking about the principles that you need to be using so that you can create the circumstances and Feel your horse’s love for you. Click here to get The 9 Keys to Happiness with Your Horse. A horse professional whom I admire greatly made the comment that “your horse will pretend to love you just as much if you give him one treat as if you give him 20.” I know he really loves horses and does cultivate a good relationship with them and he was just being funny. But still, it’s that sort of comment that can detract from a positive view of the potential of horse/human relationships. I mean, it would be kind of insulting to talk about someone’s kids pretending to love them. But we’re talking about a FEEL here rather than an EMOTION. Which are not always the same thing, are they? I’ve been wondering how some people can look at a certain politician in this country and not experience a degree of innate revulsion, and I wonder if some of us are so shut down that we don’t experience our own feelings. We’re very good at experiencing our emotions, but emotions are often not very helpful or informative. Hey June how are you? I guess it would be both weird and boring if we were all the same… And you’re right – FEEL has a lot more than just emotion involved. When you find emotions are not helpful or informative it’s just because they’re cluttered up with crap from the past. When we’re Present, they are a very clear inner guidance for both ourselves and our connection to others. Another wanderful and thought provoking blog. I ahe a queiry about this bit which on the faces of it sounds great-but what the hell to actually do? The first bit makes sense and is to do with quiet mind which to be honest I don’t think me and my ADHD will ever achieve and I so want to. Life gets in the way on top and so more in head going on in addition. The bit about neglecting wholeness of body,mind and spirit-what do I need to do to nuture these things then? I get the concept-but what the hell to actually DO? I have a big night getting ready for my radio show in the morning, so I’ll look forward to getting back to you tomorrow Emma. GREAT question – thanks! Re the ADHD mind that you think blocks you Emma – have you done the Happiness program with us? Cos I would have expected a sweet answer for you on an over-busy mind in that program? 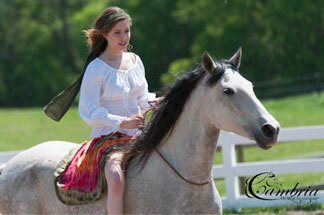 And what about 21 Days to A Quiet Mind – did you find a peacefulness in that with your horse? feel free to contact me privately to answer those questions if they’re too personal. 🙂 As for the wholeness of the mind/body/spirit, that was a kind of throw away remark that I hadn’t completely thought through consciously. 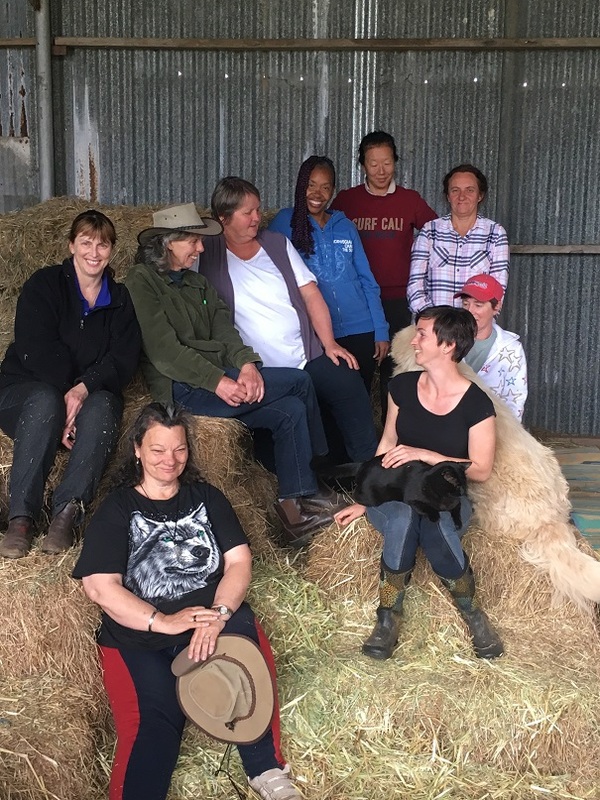 On reflection, it would be about the connectedness of ALL facets of us. 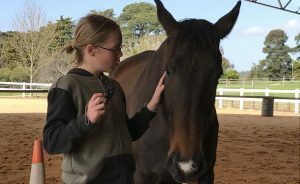 When we neglect to listen to our horse’s emotions for example, there is an impact on their body and an impact on their spirit and it would be difficult to feel the love under those circumstances. Does that make sense? I find myself wanting to reassure you that YOU DO have the answers – that what you think of as your ADHD is a gift that might just be in a bit of overwhelm and that you are already perfect. Yes horses can connect to us with love, when they are ready to feel it. I have a horse who was born in an anglo arab wild herd and mishandled and “broken in” by a notably violent cowboy. 11 years ago she decided to trust me just to get away from that breaker. It took her a few years and me discovering natural horse feel (and taking the bit out of her mouth) for her to start feeling love. Now when she is calm and happy she will start radiating love – for family and friends, for kids and adults I bring to meet her. Her eyes go soft. She curls her neck around you and touches her lips to your ‘mane’ (as pathetic as she obviously thinks human manes are). I can ask her to do things, but the love shows when she offers to do them because she wants to in that moment of connection. How lucky she is to have found you Annora. Lovely story!